With newer lipid emulsions, there is the potential to give more lipids and have less liver injury. A recent report by Diamond et al (JPEN J Parenter Enteral Nutr. 2016 Feb 2. pii: 014860711562692) provides some of the best data for the use of SMOFlipid in infants: Preventing the Progression of Intestinal Failure-Associated Liver Disease in Infants Using a Composite Lipid Emulsion: A Pilot Randomized Controlled Trial of SMOFlipid. 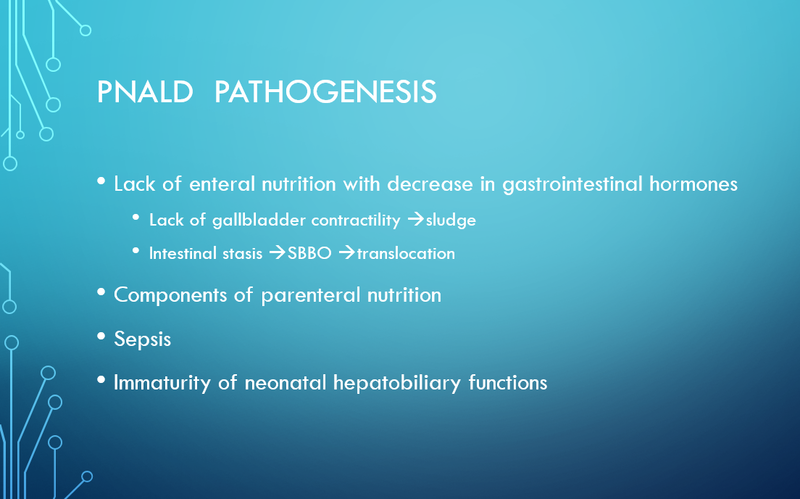 To examine whether SMOFlipid prevents progression of intestinal failure-associated liver disease (IFALD) in parenteral nutrition (PN)-dependent infants with early IFALD (conjugated bilirubin 17-50 µmol/L, 1-3 mg/dL). Pilot multicenter blinded randomized controlled trial comparing SMOFlipid with Intralipid. 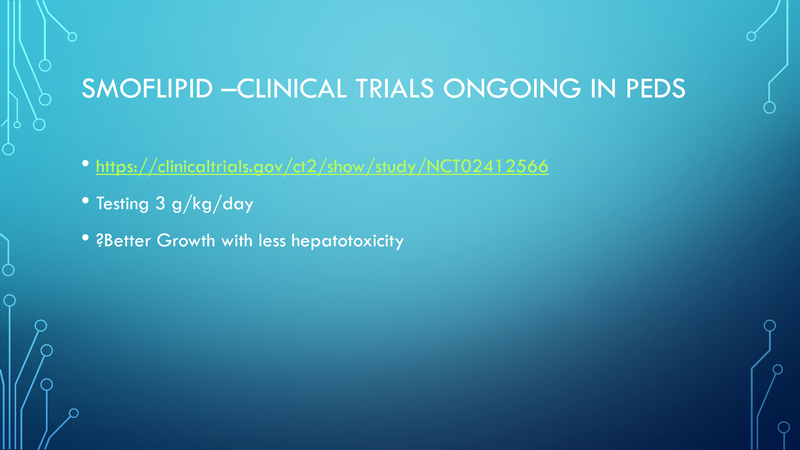 Patients received the trial lipid for up to 12 weeks, unless they achieved full enteral tolerance sooner. The primary clinical outcome was the serum conjugated bilirubin. 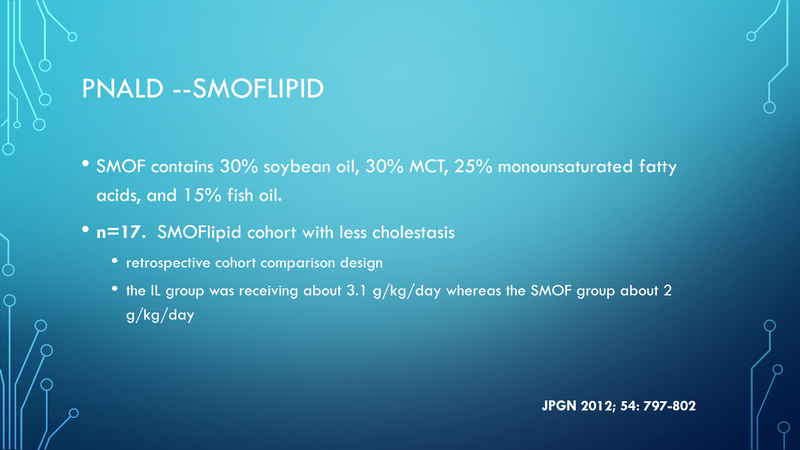 Twenty-four infants (mean age, 6 weeks) participated in the trial (13 Intralipid and 11 SMOFlipid). At the time of trial enrollment, patients in both groups were receiving 90% of their calories by PN. Mean duration on trial was 8 weeks and did not differ according to treatment (P = .99). At trial conclusion, patients who received SMOFlipid had a lower conjugated bilirubin than those who received Intralipid (mean difference, -59 µmol/L; P = .03). Patients receiving SMOFlipid were also more likely to have a decrease in serum conjugated bilirubin to 0 µmol/L than those in the Intralipid group over the entire observation period (hazard ratio, 10.6; 95%; P = .03). The time to achievement of full enteral tolerance did not differ statistically (hazard ratio, 1.3; P = .59) between the groups. There was no significant difference in safety outcomes between the groups. 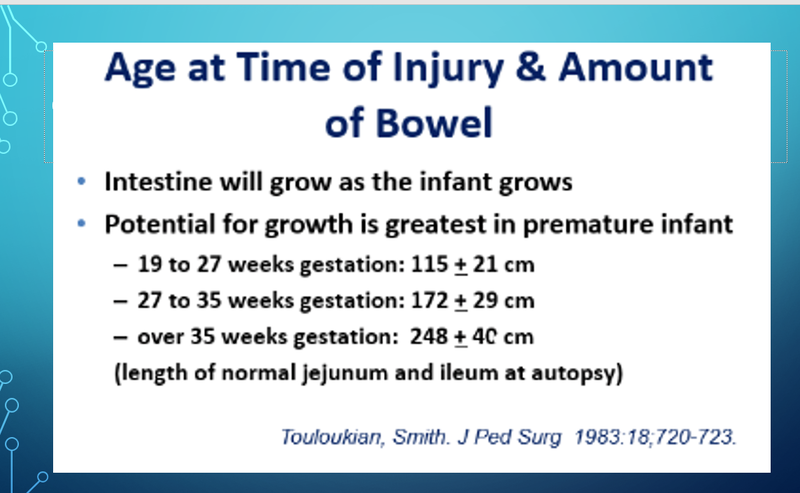 The above slide was borrowed from a talk by Dr. Conrad Cole on short bowel syndrome (available online via the Pediatric Nutritionist blog). A provocative article (J Pediatr 2014; 165: 274-9) examines supplementation of enteral fat/fish oil in premature infants as a mechanism to reduce parenteral nutrition associated cholestasis (PNAC). While the study’s limitations will prevent any dramatic conclusions, the article and associated editorial (pgs 226-27) do make several useful points. Infants were block randomized (block size of 8) into either a control group or treatment group. While both groups received conventional PN, the treatment group received supplemental enteral fat as microlipid and fish oil after tolerating enteral feeds at 20 mL/kg/d. Microlipid was started at 1 g/kg/d and advanced up to 2.5 g/kg/d; coinciding with microlipid increases, parenteral intralipid was decreased. Fish oil was started at 0.2 g every 12 hours and was advanced to a maximum of 0.5 g every 6 hours. The two fish oil products were Major Fish Oil 500 (Major Pharmaceuticals) and Rugby Sea Omega 50 (Rugby Laboratories). Advancement of enteral feedings were halted if stoma output reached 20 mL/kg/d. The editorialists note that 40 mL/kg/d would be more typical. 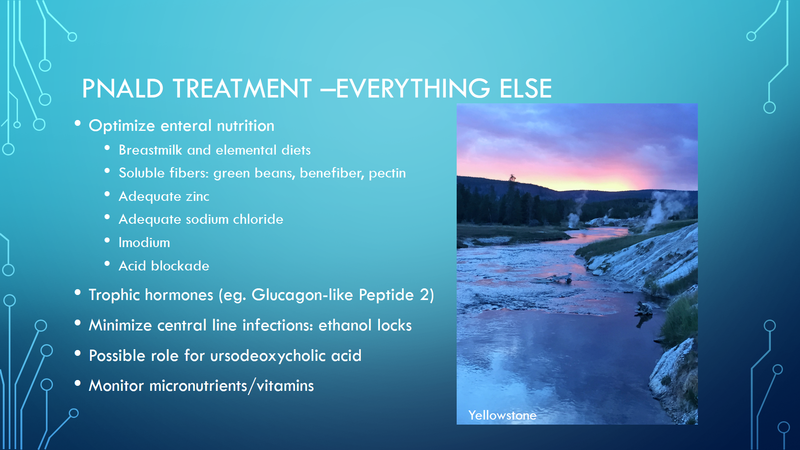 Thus, in both the treatment group and the control group, there was significant opportunity to reduce PN by more aggressive enteral nutrition advancement. With these limitations in mind, there authors were able to show that supplemental fat (with fish oil) was associated with less parenteral intravenous lipid, and reduced conjugated bilirubin prior to anastomosis. However, there was no significant difference in PN duration. Growth parameters were similar prior to anastomosis, but improved in the treatment group after anastomosis. Take-home message: Enteral fat/fish oil supplementation helped decrease parenteral intravenous lipids in this study. More broadly, advancing enteral nutrition by accepting higher ostomy outputs is likely the best strategy to avoid PNAC and other PN-associated complications.